Replace your old grease lubricated driveshaft to a KAflex® driveshaft. The KAflex® driveshaft is applicable to both Rotor Brake and Non-Brake installations. 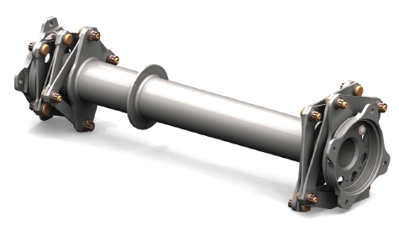 The model 206LI/LIII Series KAflex® driveshaft installation is now EASA approved. Power Aviation represents and distribute Kamatics KAflex® Driveshafts and Speciality Bearings in Europe.